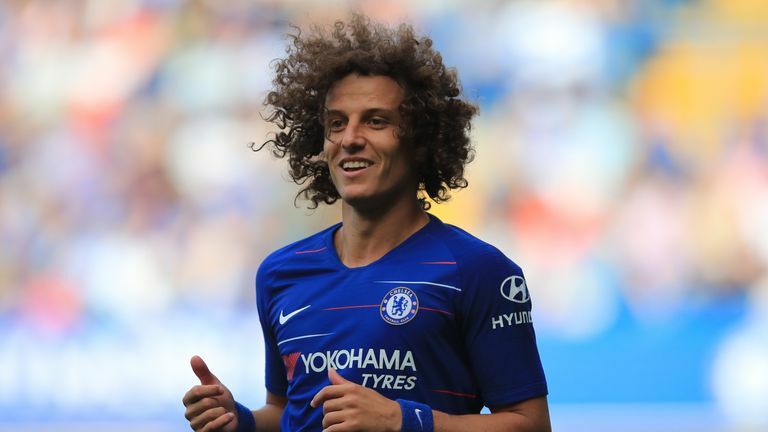 Maurizio Sarri says he wants David Luiz and Cesc Fabregas to sign new contracts at Chelsea, but admits completing the deals will be "very difficult". Both players' contracts at Stamford Bridge expire at the end of the season, meaning they are free to discuss moves to clubs outside England from next month. Sarri says he has told the club he wants David Luiz and Fabregas to remain at Chelsea, but has suggested finding agreement on the length of the contracts could be difficult. He said: "I spoke with the club about this one month ago. I know very well that it's not easy, but I think we can do a new deal for both. "They are very important players for us. It is very difficult to find a centre-back for this level and it is very difficult to find a centre-midfielder technically like Fabregas, so I think they have to stay with us. "The deal is very difficult for this reason [both players are over 30 years of age]. The club wants a short contract and the players want a long contract It is difficult for this reason but I think we can find a solution." Another player Sarri is keen to keep at Chelsea is Ruben Loftus-Cheek following his goal-scoring cameo off the bench in the win over Fuham on Sunday. The 22-year-old has struggled to break into the head coach's side despite impressing on loan at Crystal Palace last season, and admits he understands why there are calls from him to leave the Blues. However, Sarri has no intention of allowing the England international to depart, saying: "He played some matches in the Europa League and League Cup, and he five or six matches in the Premier League without starting. "At the moment he is very important for us. He had some problems to understand what I wanted, but now he is improving and in the last two matches I was really very happy with him. "I want him to stay with me, with us, so I think there is no chance (of him leaving)."